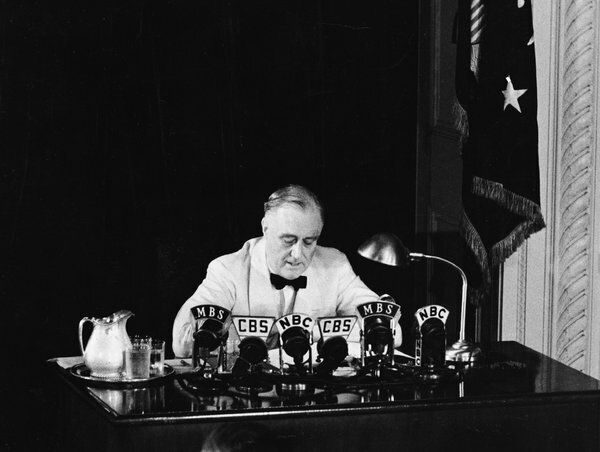 A new Harvard University Press book examines President Franklin Delano Roosevelt’s broader record on Jewish issues. There’s been no national census of Jews since 2001 and none is planned for the indefinite future. Do we need a new nationwide count of America’s Jews? It has been 10 years since anyone conducted a census of American Jewry—and no major organization has plans to conduct another one soon. (The official U.S. Census can’t ask questions about religion.) This means that the Jewish community may indefinitely lack the kind of data required for communal planning—how many Jews there are, where they live, whom they are marrying, what Jewish religious movements they adhere to and so forth. Gathering such data is no easy task. Whereas many Christian churches calculate membership as the sum of all those they have baptized or who have made public declarations of their faith, Jews see themselves as a people embracing religious and nonreligious members alike. Thus life-cycle ceremonies and synagogue membership are insufficient proxies for membership in the Jewish community. The 2012 presidential election campaign has begun. Suspecting that the incumbent is vulnerable, Republicans are already beginning to position themselves to carry this campaign to voters early and often against the Obama Administration. Jews will be seen as a key target for this effort. Several core factors will define the Jewish connection in this campaign cycle. Accessing early campaign money and embracing the Israel connection represent two elements that will be seen as pivotal the 2012 campaign and to Jewish support. Both parties, and more directly aspiring candidates, will be looking for financial assistance as a way to launch and to build their campaigns and to garner political endorsements. 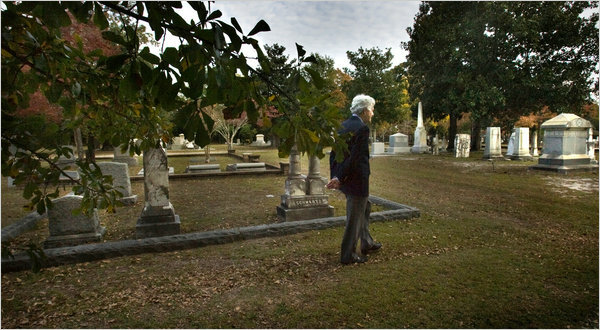 Roger Ackerman, 78, prodded his aging congregation at Temple Sinai in Sumter, S.C., to create a living will that includes a maintenance plan for its cemetery. …According to Jonathan D. Sarna, a professor of American Jewish history at Brandeis University, most Jews in the United States have migrated from small communities to large cities: he estimates that 85 percent of the country’s 5.2 million Jews live in 20 metropolitan areas, primarily on the East and West Coasts and in Sun Belt states. Mr. Sarna estimates there are 150 to 200 communities across the country that could benefit from the project’s help. The process of dismantling a community, experts say, is fraught with potential tensions involving both purse and heartstrings. Mark A. Raider, a professor of modern Jewish history at the University of Cincinnati, cited disagreements over disposition of material assets. “Where there’s money, real estate and other significant resources, there tends to be differing and often opposing views about who should control it,” Dr. Raider said. He put on tefillin every day. He was rarely absent from shul. He ate only kosher. But during the busy season in the garment industry, this Bronx Jew who grew up in the first half of the 20th century worked on Shabbat. Can such a person be considered an Orthodox Jew? Today many Jews would answer “no.” However, this gentleman and many others like him appear in a new book, Orthodox Jews in America, which examines the many shades of American Orthodoxy over the past 350 years. 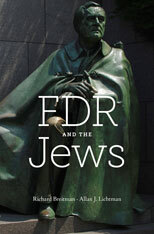 The book’s author, Jeffrey Gurock, has written and edited 14 other works, is a former associate editor of American Jewish History, and currently is Libby M. Klaperman Professor of Jewish History at Yeshiva University. The Jewish Press recently interviewed him about his book. The Jewish Press: Your book, devoted to American Jewish Orthodoxy, includes Jews who work on Shabbat. In what sense is someone who works on Shabbat Orthodox? Gurock: He’s Orthodox in the sense that he understands what the requirements of halacha are. This individual is very guilty about his inability to observe Shabbat, but there are certain basic economic exigencies that force him to work to support his family. Some would argue that working on Shabbat makes a person, a priori, not Orthodox. Obviously people are entitled to their opinion, but no one observes all the mitzvot. What makes someone Orthodox is his understanding that one is required to observe the mitzvot. Someone could be a Reform Jew and observe many of the mitzvot, but he’s not Orthodox because this is a personal decision he makes not based upon a belief in a halachic tradition. People growing up today don’t realize how prevalent this type of Orthodoxy was, especially pre-World War II and while the Blue Laws were still in effect. Fortunately today American Jews are more affluent and they’re in an America that’s far more accepting of them. When I teach undergraduates and talk about this phenomenon [of Orthodox Jews being less than fully observant] they look at me like this is a strange world. And then I say, “Go home and if you’re privileged to have grandparents who are living, ask them about this Orthodox life.” And they come back and [their grandparents] all have stories – either about themselves or about the person who sat next to them in shul who had this type of difficulty. Can you talk about America’s first rabbi, Rabbi Abraham Rice? He comes from Bavaria in 1840, arrives in Baltimore, and discovers a community where many of the members are not particularly observant. It’s a very big problem for him. As a European rabbi, his first approach is to take a highly resistant, exclusionary approach toward his congregants. So he says he will not let anyone have an aliyah if he is mechalel Shabbos b’farhesya [publicly desecrating Shabbat]. But then he changes the rule and says you can get an aliyah, but the congregation shouldn’t say amen to the brachah. And eventually he just gives up. He ends up leaving the rabbinate because he’s just uncomfortable. Uncomfortable with the state of religious observance in America. Yes, it’s a very different environment than Europe. But Europe is also changing. There’s a stereotype that all our ancestors in Eastern Europe were frum, and then they came to America and they threw it all overboard. My point is, number one, people don’t throw everything overboard; they maintain plenty. And two, Eastern Europe during that time period is far from 100 percent observant. You have radicals [who become ritually unobservant] and then you have [ordinary] people who are beginning to observe less than they did in the past. You have some interesting information in the book about kosher and non-kosher methods of shaving. Can you share? There is a graphic in the book of an advertisement in 1932 for the first electric razor that reads, “A new invention to prevent a transgression.” So here’s an example of how the ability to be shomer mitzvot is enhanced by modern technology. My grandfather, who I’m named after, used a stinking depilatory. But when the electric razor comes along you can look like other Americans without either stinking up your apartment or violating the tradition. But just to show you the nuances involved, at the same time that [people are using depilatories and the new electric shaver], the Jewish Forum, an Orthodox newspaper closely connected to the OU, has ads for regular Schick razors. Now that doesn’t mean the OU endorsed it, but advertisers are obviously serving a constituency. If no one was buying those shavers, they wouldn’t be advertising. What happens to American Orthodoxy after World War II? A decline numerically in the numbers of people who identify with Orthodoxy, but those who have remained become more observant than any prior generation before them. Also the influx into America of Jews who for a variety of reasons did not come here until after the Shoah adds a great deal of vitality and strictness to Orthodox behavior. In one of your previous books, Judaism’s Encounter With American Sports, you examine this new, stricter American Orthodoxy through the controversy surrounding yeshivas – such as Torah Vodaath and Chaim Berlin – playing in Orthodox basketball leagues that allowed girls to attend games and sometimes featured cheerleading squads and post-game dances. Can you elaborate? [These yeshivas were concerned with] elevating the athletes to a status in the yeshiva that they didn’t want. They wanted the star of the yeshiva to be the scholar or rebbe, not the coach or athlete. Another problem for the yeshivas was that the whole environment of sports was a very secular one. So Chaim Berlin had a team and it dropped out. Mesivta Tifereth Jerusalem had a team and then it dropped out. Torah Vodaath had a surreptitious team and then [Rabbi Gedalia Schorr] squelched it. And yet in the early ’60s [these yeshivas formed] a league called the Mesifta High School Athletic Association. [The administrations of these yeshivas basically said] that you can have a league but you’re not going to have dances after the games and you’re not going to have girls at the games. In its own right, this was a degree of accommodation. What happened to this league? In the mid ’60s it just died. There wasn’t a moment in time when someone said, “Don’t play.” It just drifted away. Looking forward, what trends do you see taking place in the Orthodox community? I’m going to duck that question. I have enough trouble understanding the past. I don’t want to predict the future. …..Your book is called: Jewish Power in America: Myth and Reality. In short: what’s myth, what’s reality? The general myth of Jewish power which thrives despite the genocidal murder of one out of three Jews during World War II is that Jews conspire to gain power that they intend to use for demonic purposes. In the middle ages it spoke of poisoning the wells. In America it speaks of the Jews controlling the nation’s Middle East policy. The real story of American Jewish power is that it has been able to retain its high level whereas other ethnic constituencies, Greek Americans regarding Cyprus and Cuban Americans, have faded from the foreign policy stage. They have been able to sustain their influence despite a decline in the Jewish proportion of the population from about 3.5% during the Holocaust years to less than 2.3% today. American Jewry might have followed the same declining path had they been able to perceive that the threat they faced was also declining. In the case of Israel it is in fact rising. The reality is that Jews do have power in America which sometimes seems inordinate but is in fact legally and practically circumscribed and of a “soft” long-range character. At the historic juncture when an urgent need existed to bring that power into play American Jewish leaders were unable to mobilize it for immediate need. Jewish political power in America feeds the anti Semitic imagination because Jews exercise the power inherent in citizenship with considerable skill and have in addition developed supplementary means to amplify it. Jews are probably America’s most politically engaged and activist ethnic group. From the civil rights campaign to leadership of the women’s liberation movement, from the movement to halt the Darfur genocide to concern about secondary smoke, it is unlikely to find a group advocating “progressive” change which does not have a disproportionate number of Jews in its leadership and among its activists. In addition Jews have used their comparatively high per capita income to fund expensive political campaigning. Despite the McCain Feingold campaign funding law Jews continue to fund about 60% of the Campaign needs of the Democrat party. They are disproportionately involved in the profession of politics as pundits and strategists, campaign planners and organizers and pollsters. They display great skill in using the public relations instrument so crucial in the American political game. Jewish voters are more likely to vote and to send letters to their congressmen and newspapers expressing their opinions. A trend to move from its customary behind the scenes role to actual office holding has sharply accelerated while old Protestant representation in the legislature (Episcopalians and Presbyterians) has declined. Jews have become an important part of the operational elite that manages America. Paradoxically the rise in Jewish representation on all levels of government and in university faculties occurs as its proportion of the general population declines. That decline in numbers coupled with the weakening of affiliation is bound to affect the ability of American Jews to mobilize its political power. The myth of great power is balanced by the reality of its eventual decline. In reality it is a power that is all dressed up without knowing where to go. Jews are politically active but mostly about local issues such as zoning, education and so on. Most of the Jewish philanthropic dollar is not spent on funding Jewish causes and a far more numerous African-American and Hispanic constituency with an urgent agenda looms in the wings. In years to come it may overshadow Jewish concern regarding Israel. When the myth of Jewish power confronts the reality there is little to set a concerned mind at ease. The continued projection of Jewish influence or power is contingent on maintaining a degree of Jewish communal cohesiveness and coherence. But that is problematic when most American Jews identify themselves as “just Jewish” and are otherwise unaffiliated. Jews have exercised political power with considerable skill. One of its high points was the campaign for the recognition of Israel in 1948. Recently they achieved more in their efforts to gain the release of Soviet Jewry than they were able to do for European Jewry during the Holocaust. But the kind of power they wield has two weaknesses. Soft power here described cannot ward off an immediate physical threat and there is no assurance that American Jewish power based on communal unity and focus will be available indefinitely….